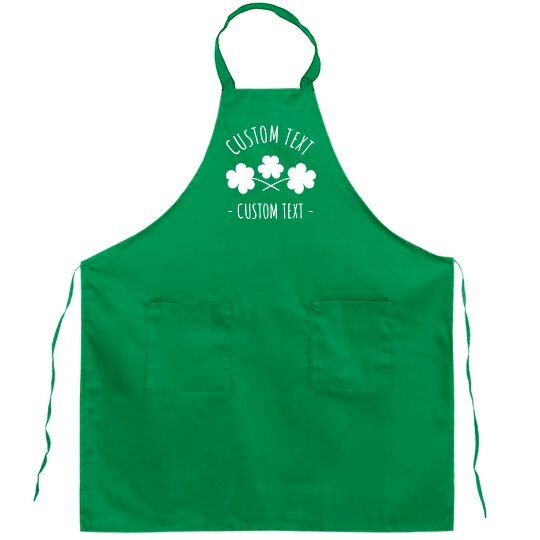 Customize a festive green apron for St. Patrick's Day this year! Whether you're hosting a party or stuck at work, this apron will be a fun way to show off your Irish spirit. Got a funny St. Paddy's Day joke in mind? Go ahead and add it!